The Public Health Physicians of Canada (PHPC) represents the interests of public health and preventive medicine specialists and public health physicians in Canada. Their mission is to establish and promote Canadian Public Health and Preventive Medicine Specialists as recognized and respected leaders in health protection and promotion, and disease and injury prevention. Euronet MRPH is a member of EPHA. This organisation is made up of public health NGOs, patient groups, health professionals and disease groups, we work to improve health and strengthen the voice of public health in Europe. Their mission is to bring together the public health community to provide thought leadership and facilitate change; to build public health capacity to deliver equitable solutions to European public health challenges, to improve health and reduce health inequalities. This organisation is a unique network and platform within EUPHA for students and early career researchers, policymakers and professionals in the field of public health. Their mission is to create a network between young professionals interested in public health and health related fields, to strengthen the presence of young professionals in the European public health and to build collaborations with associations of young professionals. 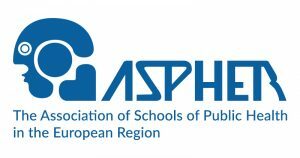 The Association of Schools of Public Health in the European Region (ASPHER) is an independent European organisation dedicated to strengthening the role of public health by improving education and training of public health professionals for both practice and research. The main functions of the Association are: to support the professionalisation of the public health workforce in Europe and to sustain capacity building in public health. CFHI is an NGO in Special Consultative Status with the ECOSOC of the United Nations. It provides community-based Global Health Education Programs for students and institutions. Our unique model fosters reciprocal partnerships and empowerment in local communities, transforming perspectives about self, healing and global citizenship. SAPHMA is a national organisation of Public Health Medicine specialists in Southern Africa. It is an affiliate of the South African Medical Association. It aims to represent Public Health Medicine specialists in international, national and local institutions. The European Forum for Primary Care is a network of interested parties from several countries, whose aim is to improve the health of the population by promoting strong Primary Care. This is done by advocating for Primary Care, by generating data and evidence on Primary Care and by exchanging information between its members.